At Patriot Armor, our skilled technicians use the best equipment available to customize all types of glass and mirrors to meet all your architectural design and decorating needs. We offer a complete line of beveling, edging, water jet and drilling services for a complete line of glass thickness and colors, as well as plastics and acrylics. Our CNC machinery enables us to achieve the highest tolerance and precise fitting patterns. 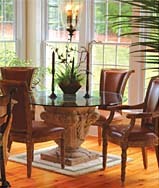 Glass tabletops are available to add beauty and protect fine wood surfaces from scratches and wear. 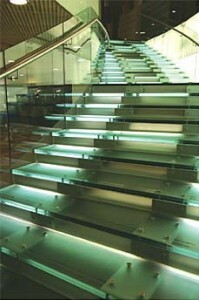 Glass tabletops are available from 1/8″ to 1″ thick or laminated up to 2.